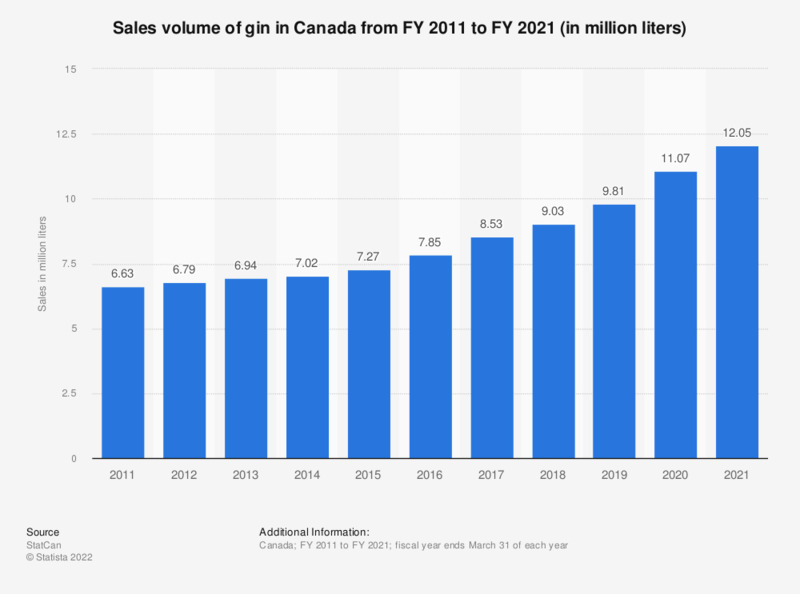 This statistic shows the volume of gin sold in Canada from FY 2011 to FY 2017, in million liters. During the fiscal year ending March 31, 2017, gin sales in Canada amounted to approximately 8.32 million liters, an increase from around 7.85 million liters the previous year. Do you normally buy the same gin products?